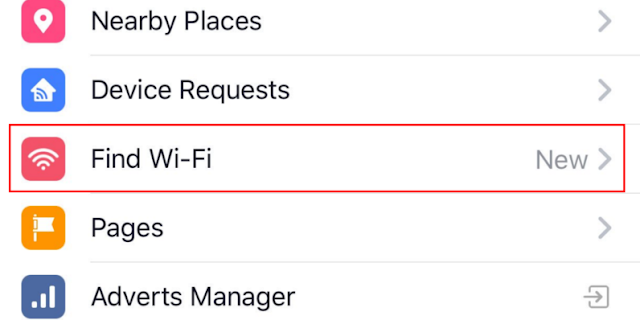 A new feature is selectively rolling out to Facebook mobile app users and it'll help you mooch off free Wi-Fi hot spots. Called "Find Wi-Fi," the function is found in the menu options of the Facebook app. Using the feature will require you to set your location access to "always." Facebook will then locate free, public Wi-Fi near you, highlighting the areas on a map and providing directions, according to The Next Web. A spokesperson for Facebook told Mashable: "To help people stay connected to the friends and experiences they care about, we are rolling out a new feature that surfaces open Wi-Fi networks associated with nearby places." 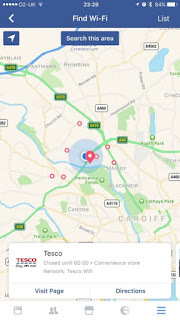 The feature will display Wi-Fi locations by the name of the business, listing the distance from your current location and hours of operation. The running list will be made up of mostly businesses with, perhaps, the random unsecured connection. Find Wi-Fi can only serve to benefit businesses. People have proven that they flock to locations offering free internet (just peek into any coffee shop), leading to potential sales and public attention. Red dots = Free Wi-Fi! This idea has been in different phases of adaption for a few years now. An early adaptation, free Wi-Fi for check-ins, was the byproduct of a partnership between Facebook and Cisco Meraki. Checking in at a business' Facebook page gifted the person checking in with free Wi-Fi. In theory, this concept works great, but was limited to businesses using Cisco Meraki routers. Facebook later expanded the partnership to include Netgear, strategically widening their free Wi-Fi net. The preexisting structure webbed between Cisco Meraki and Netgear routers may have lent a hand in the Find Wi-Fi feature. 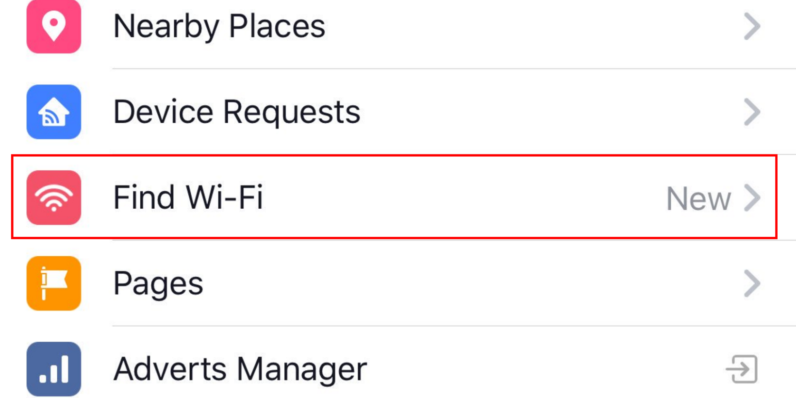 Shortly before the Find Wi-Fi feature began testing, Facebook requested that business Pages include whether free Wi-Fi is offered at their physical location. Anyone paying even a smidgen of attention to our social overlords will know that Facebook has positioned itself squarely behind Live. As determined as a snarling bulldog, it nudges live-streaming forward, rallying behind the incorporation real-time sharing into daily life. However, live-streaming is less than ideal without a proper connection. Using Find Wi-Fi to connect away from home will enable live-streaming from any imaginable location. 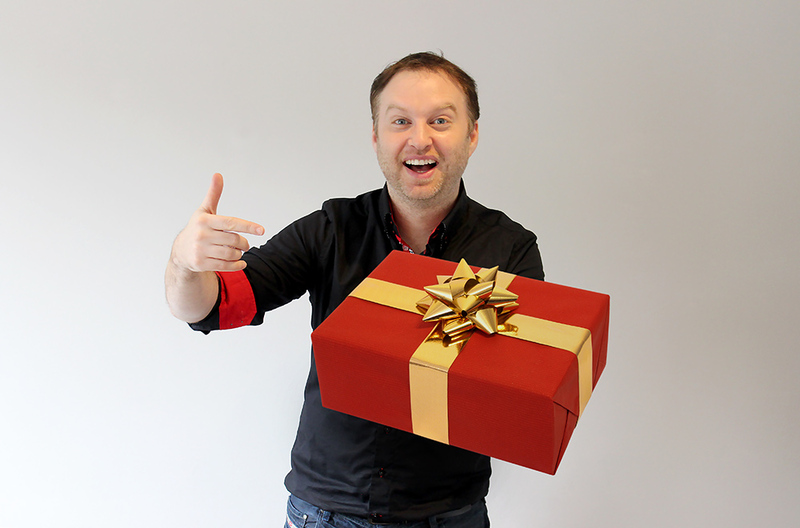 Universal internet access allows for a constant stream of information, fulfilling Facebook's vision for Live. 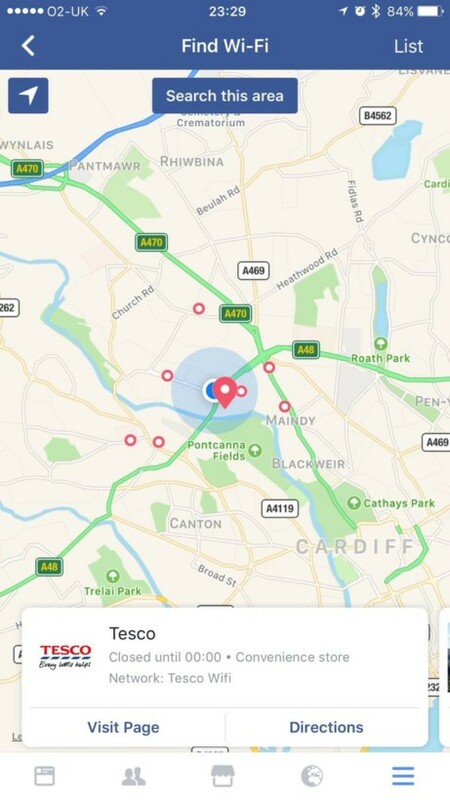 Integrating a Wi-Fi finder into the Facebook app will give it more functionality, propelling people to open it several times on an outing. Alas, Facebook traps its users into scrolling endlessly through their NewsFeed. Not only can Facebook lead you to the nearest free Wi-Fi, it connects you to a virtual world. As of now, the feature has only been seen on the Facebook app on select iOS devices. It seems to be in the early stages of testing. It is not yet known whether the feature will be available to countries outside of the U.S.